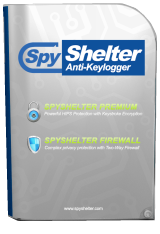 SpyShelter Premium is a real time protection application which constantly monitors crucial areas in your system and instantly alerts you about every suspicious action. SpyShelter is capable of stopping keyloggers, trojans and other malicious applications from hooking into your system, without using any sort of signature database – SpyShelter relies completely on detecting specific behaviors. With this proactive approach, SpyShelter is capable of detecting zero-day malware much faster than antivirus software. Please note: The program provides a 6-months license.